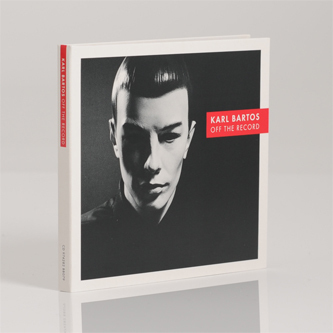 Decommissioned man-machine Karl Bartos presents 'Off The Record', his first new album in a decade and his 2nd since unplugging from Kraftwerk. 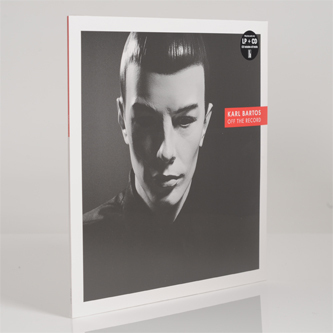 Largely conceived from notes written during his time as a robot, it's prime synth-pop in the purest sense of the term; entirely synthetic and with the requisite amount of hooks from a being at least 25% responsible for some of the most influential electronic pop music ever made. Lead single 'Atomium' opens with urgent pomp, all flash stabs and stern vocoder vocals powered by motorik rhythms. 'Nachtfahrt' follows with a more human, NDW-styled pop ditty, whilst the floral melodies and chorus of 'Without A Trace Of Emotion' give a friendly dose of that ironic humour we all love about Kraftwerk. At its apex we find 'Musica Ex Machina', written with Bernard Sumner and Johnny Marr, beside his poignant synth soul ace 'The Tuning Of The World', and the debonaire downbeats of 'Instant Bayreuth', but the best rhythms are saved for the icily sparse coding of 'Vox Humana' and the lazer-cut electro of 'Rhythmus' or the dainty closer, 'Hausmusik'.